A wolf hybrid is defined as an animal that is the immediate or remote descendant from the mating between a domestic dog and wolf. A wolf is not domesticated and therefore any dog mixed with wolf, known as a wolf hybrid, should not be considered “domesticated”. Accordingly, from an animal behavior perspective, one would expect that an animal with this lineage would be unpredictable when placed in the human environment, particularly in an urban setting where contact with unfamiliar people, particularly children, may occur. Wolf hybrids retain many wolf-like characteristics which make their behavior unpredictable in the human setting. As a result, attacks upon humans likely happen at disproportionately high rates, and there are documented accounts of fatal attacks by wolf hybrids on people in the United States (Sacks, J. Breeds of dog involved in fatal human attacks in the United States between 1979 – 1998. J. American Veterinary Medical Association, 2000, Vol. 217, 836-840). This author published a paper in a the peer-reviewed journal Veterinary Medicine entitled Wolf hybrids: Are they suitable as pets? This paper presented a short overview of the wolf hybrid’s physical and behavioral attributes. Although published some time ago, the findings and beliefs stated in this paper have not changed. The impetus for this paper stemmed from a lawsuit in California in which this author was retained by plaintiff’s counsel as an animal behavior expert. After having learned of the details of this case (as described in the article) and knowing how hybrids are frequently mismanaged by owners, I felt the need to inform others, particularly those in the legal professionals, about the risks involved in keeping these animals as pets. The wolf hybrid should not be considered fully domesticated because genetically, because they still remain part wolf. Domestication is a gradual, long-term process. Generations of purposeful breeding are needed to effectively produce certain traits in a species, both physical and behavioral, that promotes adaption to the human environment. Domestication results in individuals of the species becoming more docile and predictable. Wolves, in contrast, have never been subjected to purposeful breeding that selects for certain traits (in contrast to silver foxes, where relative docility can be imbued relatively quickly). 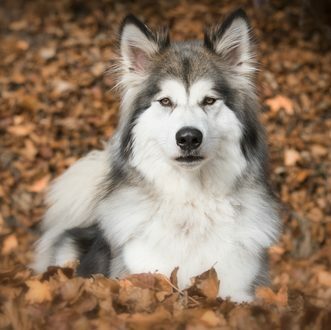 Hence, the progeny of the wolf-dog mating, are likely to display behavior that is more wolf-like then dog-like, and hence individuals will be expected to be driven by wolf-like behavioral tendencies. 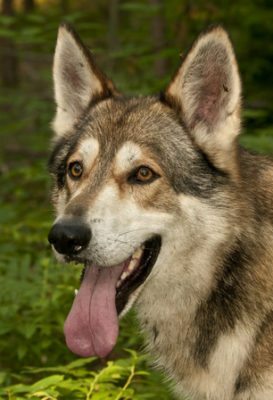 Given the potential dangers these kind of animals present, in 2002 Alaska enacted laws prohibiting the breeding, keeping or selling of wolf hybrids. And in 2010, a a judge in British Columbia ruled that hybrids were not domesticated animals and therefore inherently dangerous (the interested reader should contact Dr. Polsky for the transcript of this decision). The reader should consult the Wikipedia website for additional information on wolf hybrid aggression, behavior, and genetic makeup. Whether wolf hybrids should be allowed in urban environments and treated like a domestic dog is controversial. Although differences exist between individual wolf hybrids, one must importantly realize that wolf hybrids are not fully domesticated. Accordingly, one must treat these animals with caution. California dog bite expert, Richard Polsky, PhD, has qualified in court as an expert on wolf hybrids. He is available nationwide to attorneys handling cases involving attacks on people by wolf hybrids. More information about the background qualifications of Dr. Polsky can be found on his Curriculum Vitae.